If you have never seen the unique American wilderness, grab the chance to do so on Wild Princess Slot at Vegas Spins! This beautifully designed slot is a creation of Reflex Gaming, consisting of 5 reels and 20 win lines. The action takes place against a background showing the natural landscape of Native America, comprising huts, mountains, forests and a campfire. The reels are found within an ornate frame and are full of Native American symbols, as well as A, K, Q and J. Discover the unique lifestyle of Native Americans on Wild Princess Slot at Vegas Spins using any device! 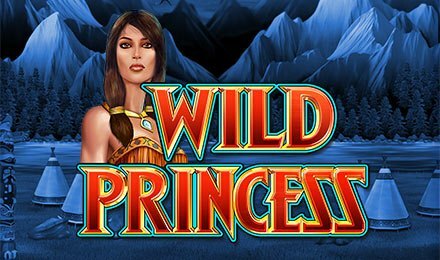 Enter a unique world on Wild Princess Slot! First choose your Total Bet and click on the Spin button. When at least 3 matching symbols land on a winning line, a win is triggered. An Auto Play feature is also at your disposal so you can launch several spins played without any intervention. Bet Levels: No bet level is included. Amount of Paylines Selection: All the 20 win lines are active during the gameplay. Coin Values: Choose a bet amount of your choice on the Stake field. One of the 2 randomly triggered base game bonuses on Wild Princess Slot is the Super Reels Feature. While the reels spin, they expand to a 5 x 9 matrix and the number of paylines increases to 45. This reel layout is used for the current spin while the reels revert to their initial 5 x 4 configuration. During this feature, you can also see more stacked symbols. Land 3, 4 or 5 Bonus symbols on the reels to trigger the Free Spins Bonus Feature on Wild Princess Slot. When more triggering Bonus symbols occur on the reels, you can earn a higher initial win while accessing the feature. Three, four and five Bonus symbols reward you with x2, x20 and x50 base stakes, respectively. You are also awarded 8 free spins to enjoy the round. Don’t miss the Special Symbol on the centre reel during the Free Spins Bonus Feature on Wild Princess Slot! On its first occurrence, the reels expand to a 5 x 9 configuration and the number of lines increases to 45. This layout is used during free spins. Plus, 3 extra free spins are added to the “free spins remaining” meter. The subsequent instances of this Special Symbol add 3 additional free spins to the meter. The round continues until all free spins are played through. Can you see the beautiful Princess? On Wild Princess Slot, it stands for Wild and replaces any symbol in a winning combination, apart from Bonus. Let’s discover the Lock and Win Feature on Wild Princess Slot! To trigger this feature, simply land a full stack of symbols on reels 1, 2 or 3. The stack is then held in place while the other reels perform a respin. When this happens, a guaranteed win is awarded. Travel to the beautiful American wilderness on Wild Princess Slot at Vegas Spins and be ready for a whale of a time. Wish you all the best!